There are so many ideas for dutch braids that you will realize how happy your long hair makes you feel. Based on your facial features, choose the most flattering one. Of course, your braided hairstyle should be appropriate for the occasion. Whether it’s a formal or daily look, you can opt for a braided ponytail, it can be more versatile than you think. How do you like these ideas? Maybe one of them is for you? A Dutch braid has much in common with French braids with the only difference – it is reversed. That is why Dutch braided hairstyles are also called reverse braids or inside-out braids. Dutch braids are among the most sophisticated long hairstyles. 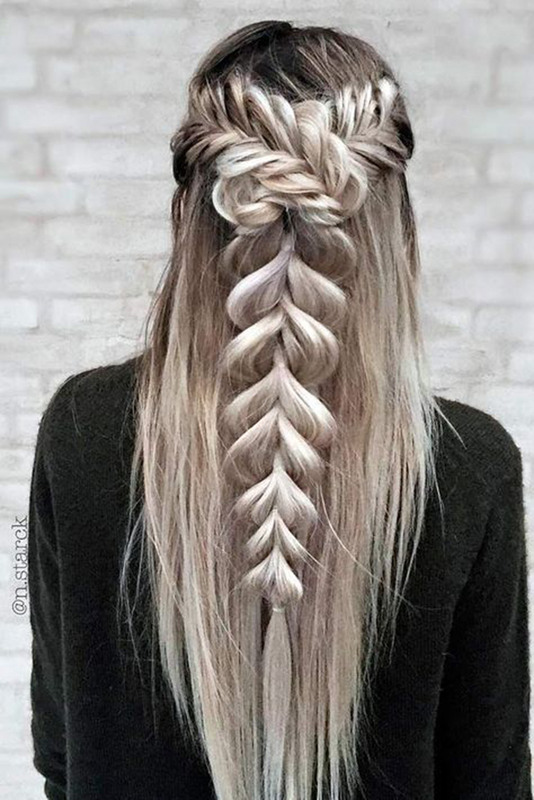 But the technique is not very complicated and is similar to French braiding. Just this time the braid strands will not be brought over and then into the middle, they will be brought underneath. Now let’s discover amazing looks with Dutch braids we have picked for your inspiration.